The current generation of students has grown up with technology and uses it in every aspect of their daily lives and for many, this will include the jobs they will be pursuing. Equipping students with the skills they need in life outside of school and beyond the makerspace, is an powerful component of the Maker Movement. An often overlooked but necessary skillset for those students who will be pursuing careers related to the themes in your makerspace, such as electricity, engineering and design, is leveraging advancements made in digital tools available on their personal devices. 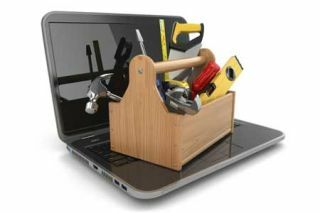 As a librarian in a BYOD high school, in addition to providing opportunities for my students to use their mobile devices as a creation tool, I also promote the idea of using their personal devices as a toolbox. As a result, in our makerspace, we have a BYOT (Bring Your Own Toolbox) initiative. This initiative was spurred by a conversation with our school electrician, who one day was doing work in our library, and instead of using physical tools, we spotted him using tools on his smartphone. He emphasized how important devices are now to those in skilled trades. The experiential learning opportunities offered in makerspaces are one of the most valuable tools we have for prepare students for the workforce they will be entering into. We as maker educators need to create new ways of learning to help to build a better workforce. Stocking your makerspace with tools and supplies can be very beneficial, but for our stdents, their most powerful tool, might be right in their pocket! Below are some of our favorites. Click on the image for FREE downloadable sign to help you kick off a BYOT initiative in your makerspace! What are some of your favorite tools for personal devices? Share them at #worldsofmaking! * If your students do not bring their own devices to school, many of these apps can be installed on tablets in your makerspace, giving your students a similar experience.